A couple of days ago, I shared about a gift of a vacation in So Cal with dear friends. It was spectacular. Truly. 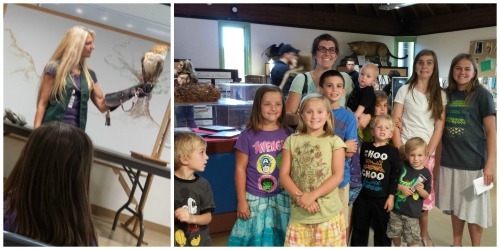 One of the huge perks of homeschooling is that schooling isn’t centered around a brick and mortar building, but a group of people with curriculum they choose. I’ve shared that perk with you when we did school at a pizza joint and when we took school to a cabin in the mountains, but this time we not only took school with us, but we did so spontaneously, crossed state lines, and worked in the vehicle. As I loaded the van for our trip, I packed the school books. Thirteen hour drives make for great opportunities to read and do other school work. So, on the way to California, the girls “did school” with curriculum. 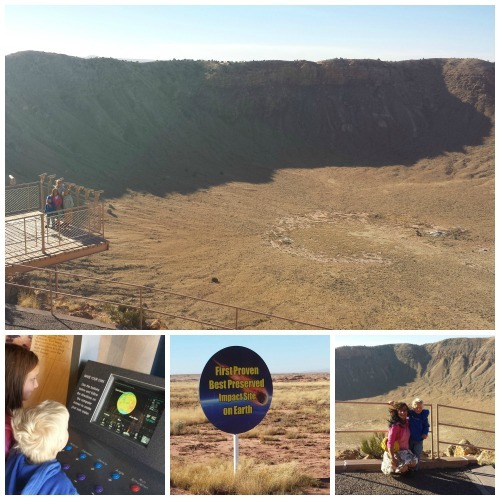 We also had a field trip and learned about the first proven and best preserved meteor crater in the world. While we were in California, the girls “did school” not involving curriculum. We observed the land, the people, the weather. We took two field trips (one of them so spectacular it gets its own post tomorrow). And on the way back to New Mexico, the girls “did school” again with curriculum. We read, did writing and grammar in the binders, did math on the laptop again, and more. I realized that even after more than fourteen years of homeschooling for our family, he didn’t and doesn’t understand. That surprised me and made me sad at the same time. I suppose that he just can’t wrap his head around school not being led by a teacher in the front of a classroom. Or he was irritated that I might blow off school for the week, which honestly was a viable option (taking a week off, not being irritated). Homeschooling calendars are decided by the parents, not the government or board. We can plan our homeschool around what works for us, while keeping it legal (for states that require a certain number of days). We can take advantage of wonderful opportunities that present themselves. We take school seriously, but that doesn’t mean we are stuck to a calendar or a place. 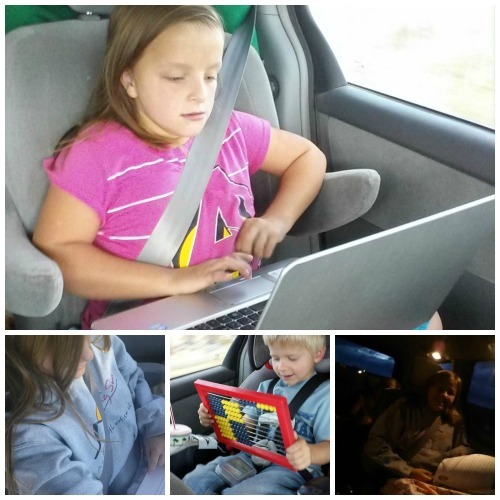 Homeschooling is a way of life that affects how we approach everything. So, while taking the week off was a viable option for the younger four kids, we didn’t because I wanted to use our van time to our calendar advantage. Books travel nicely. Laptops do too. Pencils work just fine in a van as well as at a table. So I can bring books, workbooks, pencils, a Bible, and a laptop with us into a van, drive west for thirteen hours, see the sights on I-40, all while “schooling” my children. And what I call a HUGE perk to homeschooling.